Camouflage makeup is usually a thick and heavily pigmented cream that can do a decent job at blocking discoloration, but it can look unnatural if it does not match your skin perfectly. These out of of date formulations are typically made out of wax, leaving the skin weighted down with a heavy mask. Heavy layers will cover up red or dark marks, but usually it makes it very hard to blend into the surrounding skin. 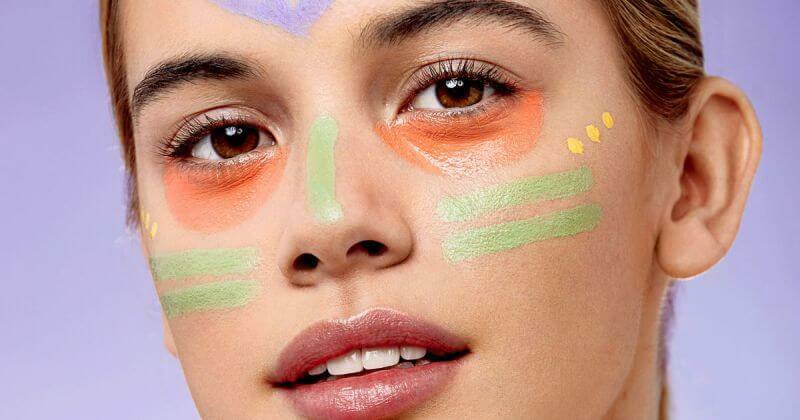 Makeup artists recommend using blendable concealer makeup where you can mix and match colors to achieve the perfect complexion match. When you apply thin layers of a highly pigmented cream makeup you can achieve excellent coverage that looks natural. Dermaflage makes it easy and affordable to mix colors with this concealer palette which has 5 shades. With this highly pigmented formula, you only need a very small amount to camouflage discoloration. It dries matte so it is smudge and waterproof to stay in place all day. Color correcting is a professional makeup artist trick that completely hides discoloration. Color correcting means using the color opposite of the problem to cancel it out. For example, green neutralizes redness, peach hides dark colors, purple blocks dull yellow colors. Dermaflage offers a corrector palette with instructions simple enough for anyone to up their makeup game. Watch a camouflage makeup tutorial for acne scars and dark circles. What About Shadows From Recessed Scars? Color correcting is only half of the battle when you have uneven texture from scars that causes shadows on your skin. You need to cover or fill in the indented scars with something more than normal makeup. Surface correction fills and covers the uneven skin to create a smooth surface. If you have uneven or pock marked skin, Dermaflage is the best camo makeup on the market. This scar concealer was developed by Hollywood makeup artists to make news anchors look perfect on HD cameras. Now you can use the same technology at home. Learn about our camouflage makeup for scars in this scar filler tutorial. Read on for more stories about how to improve your makeup skills to look and feel your best.